According to GFXbench Listing Google Pixel XL2 comes with 5.6-inch Display with a resolution of 2560x1312 pixels powered by 2.4GHz Octa-core Snapdragon 835 Processor with Adreno 540 GPU. It will come with 4GB RAM and 128GB of internal storage.On Camera, there will be a 12MP Rear camera and 8MP front camera. Pixel second generation phones are expected to come with a Dual Rear camera. It runs on Android 7.1.1 Nougat. Pixel XL2 will be running Android 8.0 out of the box. Earlier Google Taimen has been spotted on Geekbench with Android O and 4GB RAM.Phone Scores 1804 on Single core and 6248 on Multicore.Pixel 2 will be waterproof, a feature that is present on most flagships and was missing on the original Pixel. The Pixel 2 will likely be IP67- or IP68-rated, allowing for water submersion up to 1 to 1.5 meters for 30 minutes. 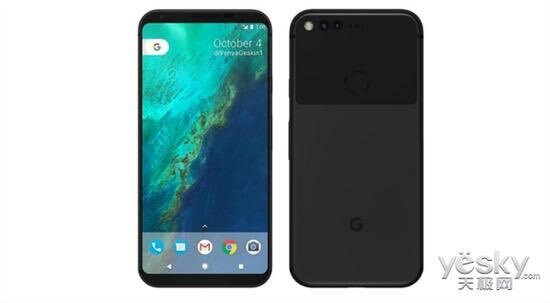 Google Pixel 2 and Pixel XL2 expected to launch later this year.